Hogy Jig Heads are designed to perfectly match their Jiggn' Hogys but they will work fine with any soft bait. Over Sized Grip Barbs that hang on to large soft-baits when casting. A little bit expensive for three lead heads. 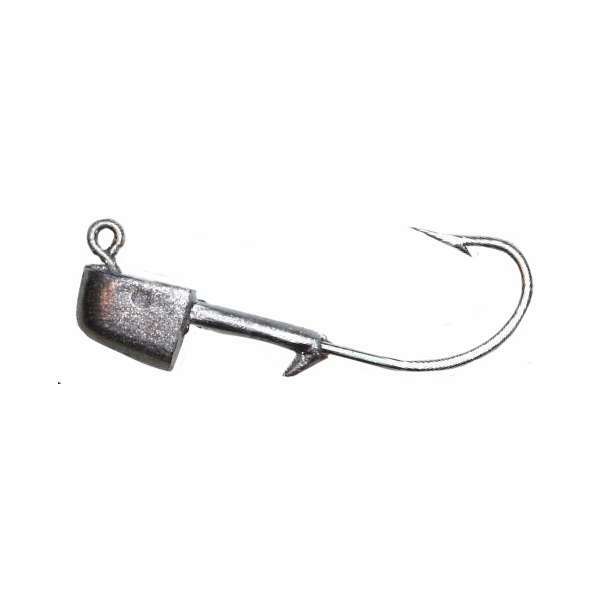 Great for casting 10" Hogys to Tuns. Works with many soft baits but especially for casting a 10" Hogy to Tuna. Works perfectly and very strong. Easy to get soft baits on the barb holds them in place. 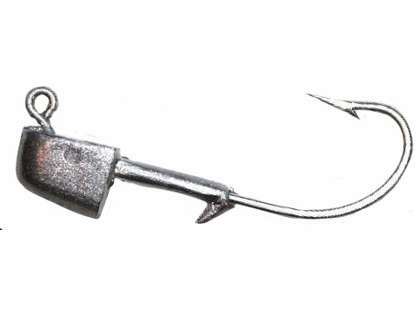 Not many commercial jigs out there for swim baits that have substantial hooks that wont bend out on larger fish. Hogy fits the bill even though they can be a little pricey. Much better than dropping a fish of a lifetime. This Jig Head is a must have to make the Hogy 3 1/2 Inch Flatfish Lures swim well. Good for using this lure as your main lure with a teaser placed about one foot above!!! This Jig Head is a must have to make the Hogy 3 1/2 Inch Flatfish Lures swim well. I think it may be more my fought on this item. Maybe I am not using the right baits but I have some large hogy plastics and I tried to use these heads for them. They are so thick that they just spilt the plastics and make them un usable. Again, I think it may be my fought and not the product. Any of these jig heads would work for that, but I would probably stick with the size 10/0's.